This book takes the reader on a thrilling journey through the history of Britain’s premier fighter base - RAF?Duxford. Michael lives only 5 miles from Duxford. He says “My wife and I always say that the first sign of spring is not the sound of the cuckoo, but the sound of the Spitfires flying over our house as Duxford begins to prepare for the summer displays." Michael began writing regular articles and reviews for educational magazines while he was a young teacher. His writing output was prolific and varied and continued as his professional career progressed, but after more than 20 years as a head teacher and several published books, he decided to take early retirement in order to spend more time writing. However, the anticipated concentrated writing time had to be put on hold because shortly after retirement Michael and his wife established a small independent school for 3 to 7-year-olds, which they ran for the next 13 years. In spite of this renewed educational activity, Michael still found time to continue to his regular writing, chiefly for the educational market, but it was shortly after selling their school that Michael found time to pursue his long-term interest in military history and the RAF in particular. The result is this new book that looks at RAF Duxford, its historic role and some of the amazing personalities who served there during the station’s long history. 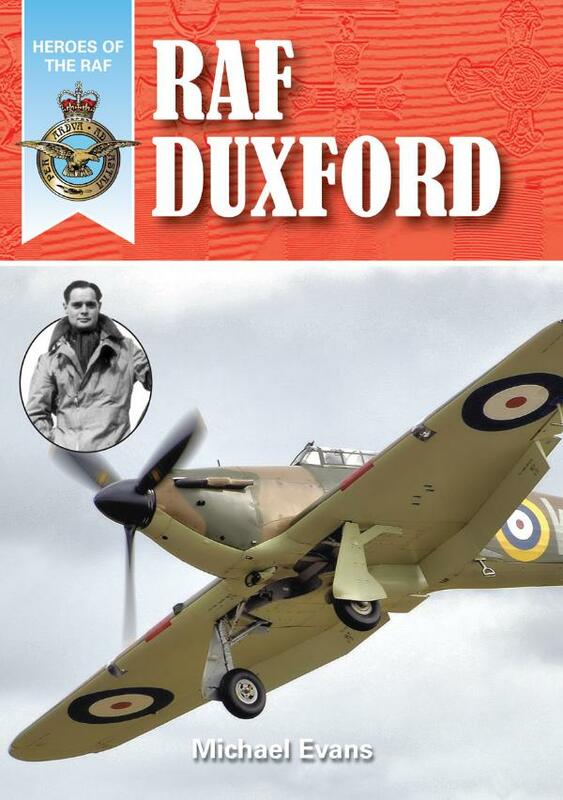 Watch the author being interviewed about his book on RAF Duxford.